Combine the vodka, liquor, cranberry juice, honey and lime in a cocktail shaker with ice and shake until combined. Pour over a glass filled with ice and top with club soda. 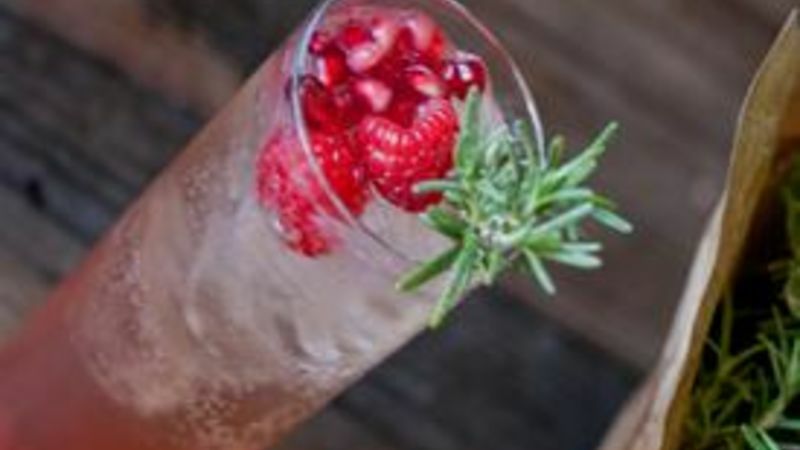 Garnish with fresh berries and a sprig of rosemary to give it some holiday cheer! A delicious and festive cocktail recipe is always good to have on hand around the holidays. Something easy, that you can whip up in just a few minutes while you decorate your tree or sit down to watch your favorite holiday movie. This Berry Sparkle Cocktail has cranberry juice and pomegranate liquor... how festive is that? Top it with fresh raspberries and pomegranates. Garnish with a rosemary sprig that resembles a pine twig! Sip and enjoy the holidays! The Berry Sparkle Cocktail is fun, fruity and festive. Keep the good-looking cocktail theme going with these holiday beauts.